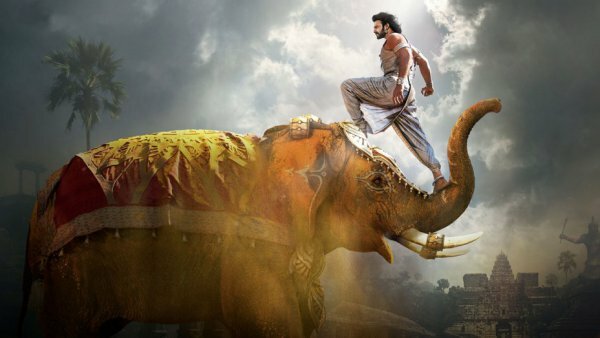 Bahubali 2 3rd / 4th Day Box Office Collection 3 / 4 Days Baahubali 2 1st Monday / Weekend Collections: After the wait of 2 years filled with eagerness, the Bahubali 2: The Conclusion movie finally released on April 28, 2017, worldwide. It was surrounded by hype and had a very strong buzz in the entire Indian film industry. The wait proved to be worthwhile for the makers. Baahubali 2 got successful not just living up to the expectations rather it surpassed them all. The biggest of Bollywood blockbusters like Dangal and Sultan now seems to be smaller in front of the magnum opus of SS Rajamouli. The recently released movie has surpassed the expectations big time. Even though it was released on a normal working Friday, but it became the biggest opener of all time. Now, Bahubali 2 tops the list of highest Indian film opener, biggest Hindi film grosser, and if all go well, then it may soon become the highest lifetime grosser surpassing the PK BO collection. Aamir Khan starrer PK, a satire-comedy, has grossed over 700 crores in its entire lifetime run worldwide. Baahubali 2 has the capability to achieve the 1000 cr mark. After recording historic Bahubali 2 collections on Friday, the movie continued its run with the same momentum on Saturday (2nd day). Once again, it crossed the Rs. 40 cr mark (Hindi version). And now, the biggest of all day comes, Bahubali 2 3rd day box office collection recorded the highest one day collection on Sunday and 1st weekend in the history of Indian cinema. The early trends and trade estimates say that Baahubali 2 is up for 45+ crores (Hindi) on its third day of release. Yes, that’s an unbelievable number and it seems to be happening soon. The trade experts are expecting it to become reality. Sunday’s show started with an average occupancy of 85% on an average for the morning shows. It’s a record-shattering figure. With the following shows in the day, the BOC was set on fire. In the noon, the average occupancy recorded was more than 90%. And this unbelievable number again rose to a higher figure. Its shows were reported running almost houseful in both single screens and multiplexes. The highest single day collections record of all time now belongs to Baahubali 2 3rd day collection. Earlier, Aamir Khan starrer Dangal had bagged it by collecting 42 cr on Sunday only. Speaking of Hindi version only, the BB2 has marked it done with a lesser number of screens because, down South, the original releases in Telugu, Tamil, and Malayalam are running the show. Moreover, these numbers come when the film is already running monstrously while Dangal had started its show with lower number on the first two days. With it, Bahubali 2 has crossed the mark of 400 crores on the worldwide scale. 3 days Bahubali 2 box office collection is definitely more than Rs. 126 cr (Hindi). And no doubt, the third day collection from India will be over Rs. 126 crores (all languages). Baahubali 2 first weekend collection has beaten the records of Dangal by over 20 crores. The first Monday (4th day) for the film is a partial holiday and thus, it will surely help in minting moolah, Baahubali 2 collection. With the good advance bookings, it may cross Rs. 25 cr mark. Bahubali 2 all India opening weekend collections will be more than 335 cr. Baahubali 2 3 days collection will be bigger than the lifetime collections except for some biggies like Dangal, PK, etc. The overseas business is also gigantic. The 1st weekend looks like to cross $22 million. Let us know what do you think of Bahubali 2 3rd day box office collection via commenting.